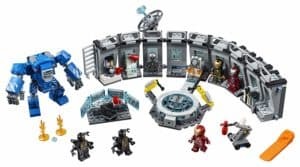 Lego Iron Man Hall of Armor Set Highlights 5 Iconic Suits | Nerd Much? If you’ve ever wished for your very own high-tech Stark lab, Lego has you covered – kind of. 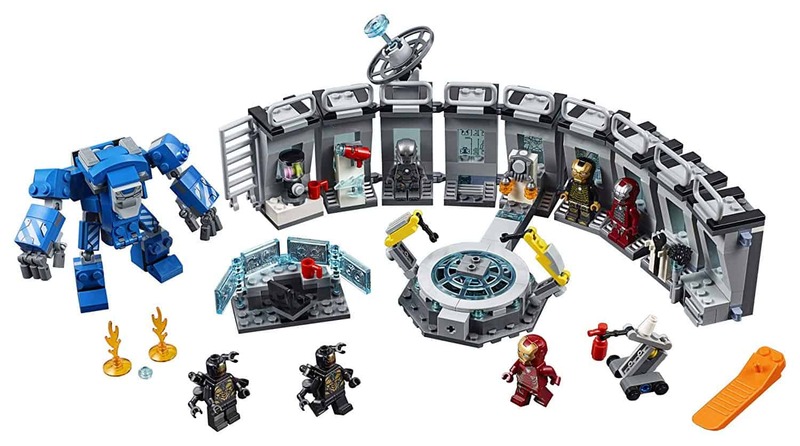 The Lego Iron Man Hall of Armor set has been revealed. It features 5 Marvel Universe figures, a posable Igor Suit mech, and numerous modules to store all the suits within. But beware, the below could hold minor Avengers: Endgame spoilers. The modular lab is the highlight of the Hall of Armor set. 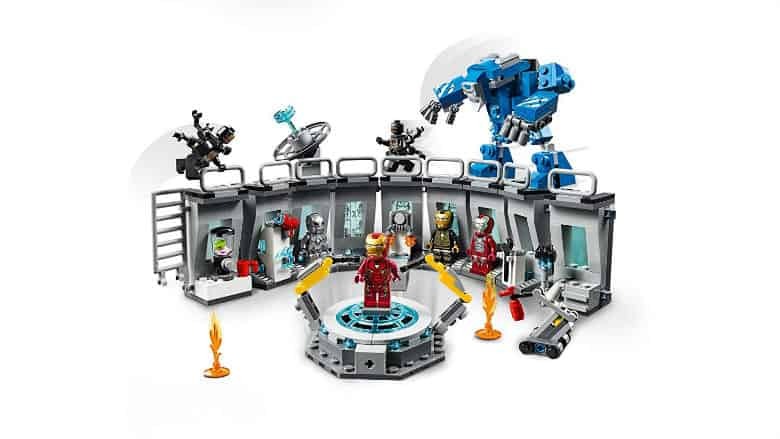 The modules are stackable and rearrangeable, so the set can be used as a museum of sorts for Stark’s suits, a prison for villains, or a screen room. It sports a rotating platform to showcase your favorite piece of armor, as well as robotic arms similar to those seen in the various Marvel Cinematic Universe movies. 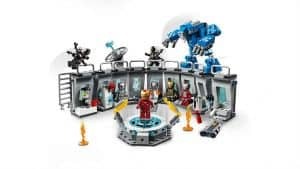 Within the Lego Iron Man Hall of Armor set comes 4 of Tony Stark’s most infamous suits: Iron Man MK 1, Iron Man MK 5, Iron Man MK 41 and. Iron Man MK 50. An Outrider villain is also tossed in too. As is a posable Igor Suit mech for those heavy duty tasks. 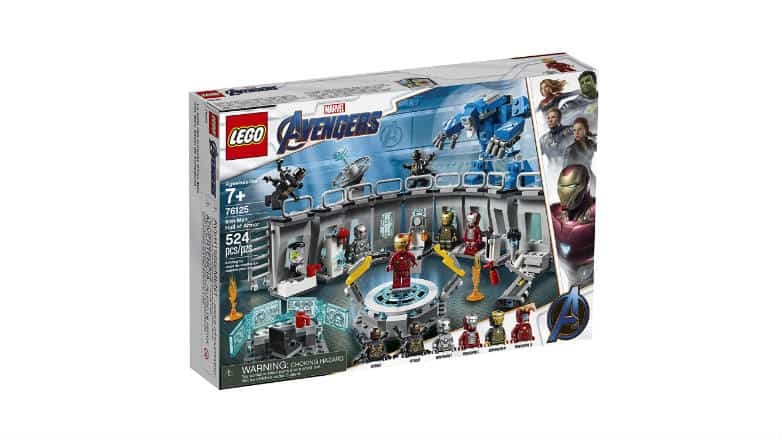 In total, the Hall of Armor set features 524 pieces to mix and match. It’s currently listed on Amazon for $59.99 with free Prime shipping. That’s not all the Lego Marvel news we got today though. As the company’s plans for 4 other Avengers: Endgame sets came out today as too. 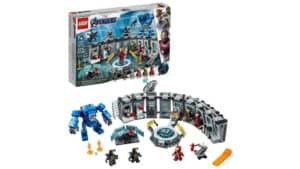 Outside of the Lego Iron Man Hall of Armor set, the 4 other Endgame themed kits will range from $19.99 to $99.99. They’re all on sale as of today.